Happy New Year...and welcome to 2017! 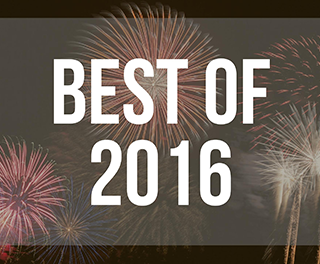 Before we close the book on another year, we've rounded up a list of the top five blog posts of 2016 by Lingraphica. Here they are in case you missed them the first time around! 1. 11,500 Speech Language and Cognitive Exercises Are Free on TalkPath Therapy! - With more than 2,500 views, this post was definitely our most popular! If you haven't already checked it out, take a look to see some of the great exercises available on TalkPath Therapy. 2. 10 Tips For Communicating with Someone Who Has Aphasia - Knowing how to communicate with someone who has aphasia can be a little tricky. For some great ideas for successful communication, check out this post. 3. Leaving the Hospital After a Stroke: The 6 Questions to Ask at Discharge - Asking important questions as you or your loved one leaves the hospital is one of the most important things to aid in recovery. Here are six questions to consider asking the doctor before heading home. 4. Check Out the Latest Updates to TalkPath Therapy - In October 2016, Lingraphica made some updates to TalkPath Therapy. Check out this blog to see what they were. 5. Broca’s, Wernicke’s, Global, Oh, My! What You Need to Know About the Six Types of Aphasia - Last but not least, this blog post described the different kinds of aphasia and what each encompasses. There you have it--the Best of Lingraphica 2016! We hope you've enjoyed this recap, and we look forward to bringing you more great posts in 2017!